We’re getting anther For Honor beta, only this time it’ll be open for all. Ubisoft has officially announced the For Honor open beta. The news was posted over on the Ubiblog along with a celebrity live stream of the game. The open beta will run from February 9 through to February 12 on PC, PS4, and Xbox One. Before the beta kicks off, celebrities and Twitch streamers will be playing the Elimination mode on February 7 at 2PM PST/ 6PM GMT/ 1PM EST. Familiar faces will include Lauren Cohan, Jason Momoa, Alfie Allen, and Demetrious Johnson. You can watch it live on the For Honor Twitch channel. The For Honor closed beta wrapped up mere hours ago. With servers going offline, we’ve had some time to reflect on our experience of the thing. But it looks like we won’t be waiting long to jump in again, as it’s now been revealed another beta is scheduled for February. The open beta takes place February 9-12, according to an email received by Twitch Prime users. A NeoGAF member posted a screenshot of what he received on the forum, and it does mention these dates for the open beta. Ubisoft has not yet officially announced another beta for the game yet, of course, so it looks like someone got a little trigger happy. Outside of that, the email reveals that Twitch Prime subscribers will be getting in-game bonuses at launch, such as a 10-day champion status – a bonus to currency and XP earn rate, and an exclusive emblem. That another beta is being planned for the game is hardly surprising. Ubisoft followed a similar schedule before the launch of Rainbow Six Siege in 2015, starting off with an invite-only beta before opening it up to everyone days from the main game’s release. 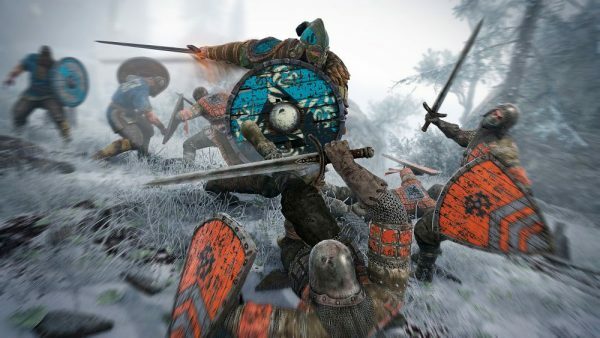 For Honor is out February 14 on PC, PS4, and Xbox One.